I’m doing the half! I’m going in with one goal: To Finish. I’ve decided not to worry about how fast I run, just about how often I run. The speed will come eventually! And hey, just finishing a half will be a PR! I also signed on as an independent Team Beachbody Coach this week! I’m super excited to inspire people to start their journey to a healthy lifestyle and help them achieve their goals! Hit me up here, to set up your FREE account and/or check out some of the great products Beachbody has to offer! 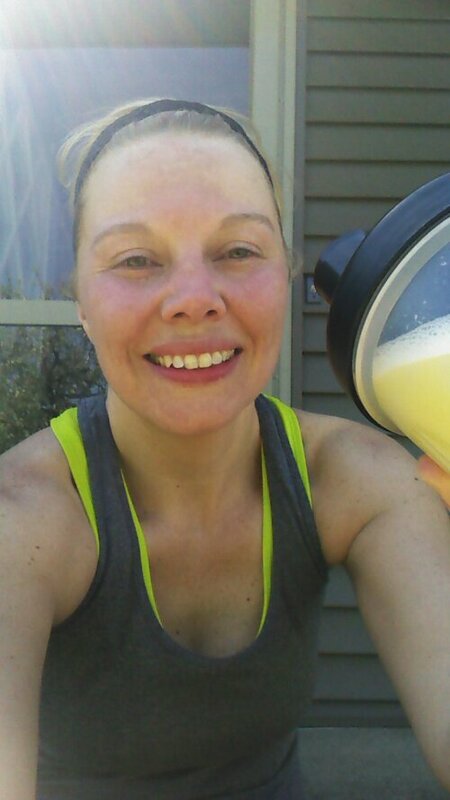 I’m totally loving Energy and Endurance before my runs, and Results and Recovery is fabulous post workout! And of course, Shakeology is the bomb! What, Mimi? 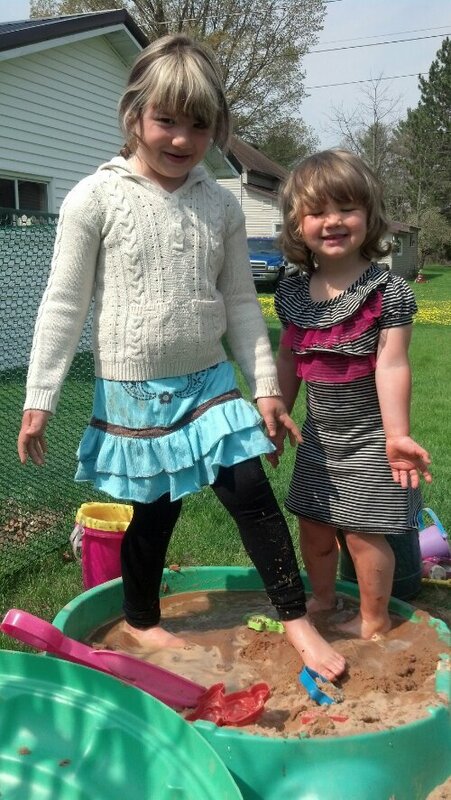 No one dumped water in the sandbox! 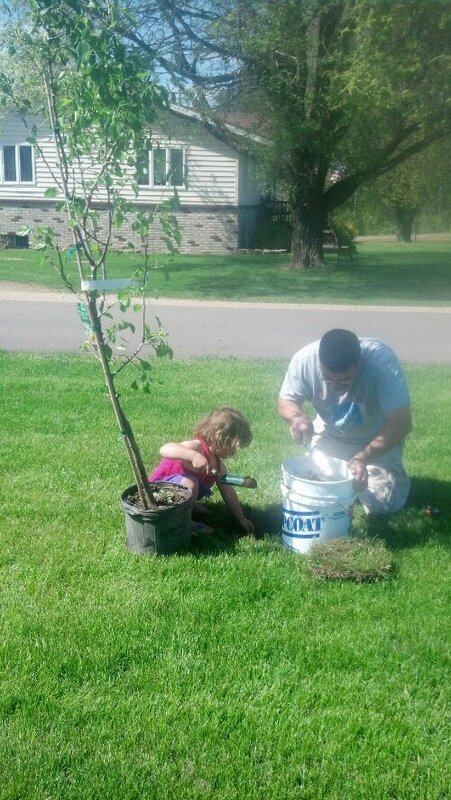 Papa and the little one planting a pear tree! Hope you all have a happy and safe Memorial Day weekend! Do you use any pre or post workout supplements?